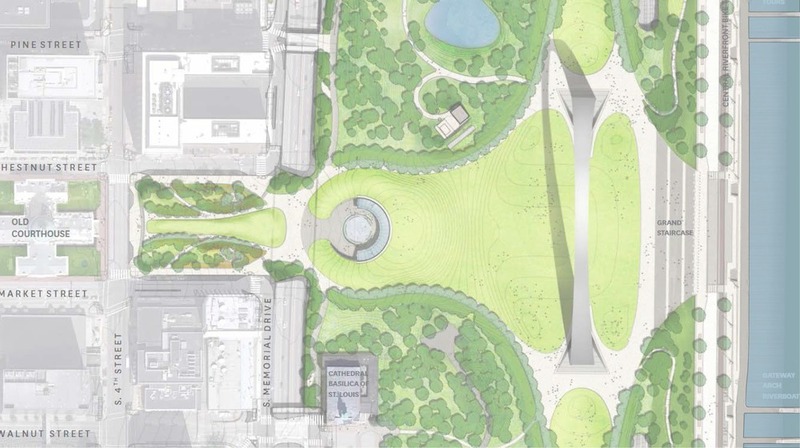 A spiffy revamp of the park and buildings surrounding Eero Saarinen’s Gateway Arch in St. Louis is slated for completion this summer. 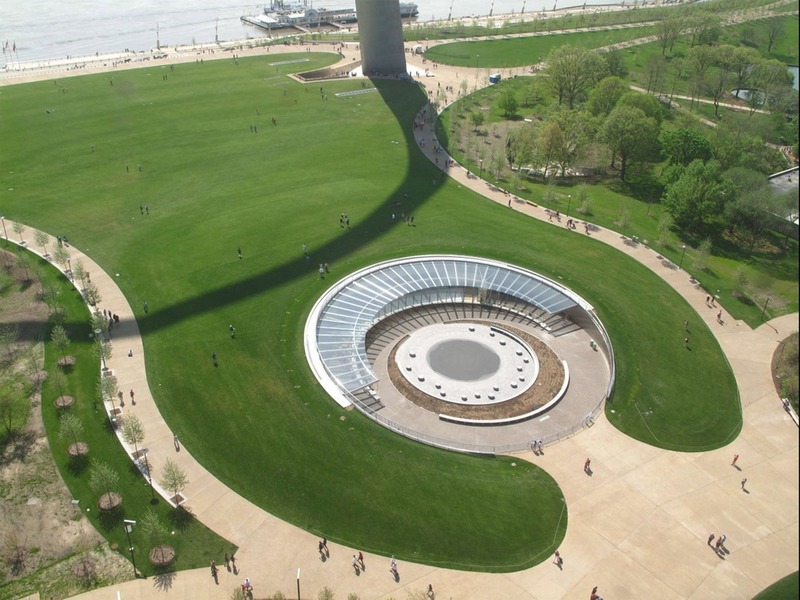 Along with a new landscape by Michael Van Valkenburgh Associates (MVVA) that sensitively dialogues with the Dan Kiley original, the symbolic demarcation of the west will be complemented by a revamped Museum of Westward Expansion, now known as the Museum of the Gateway Arch. 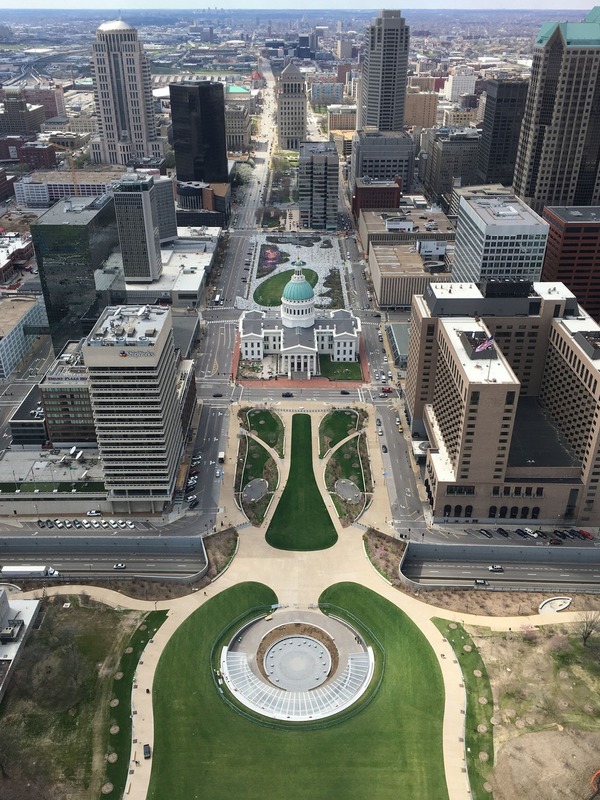 The building, which sits directly beneath the Arch, was originally designed by Saarinen and is being redone by New York’s Cooper Robertson and James Carpenter Design Associates (JCDA) with Trivers Associates, which is based in St. Louis. 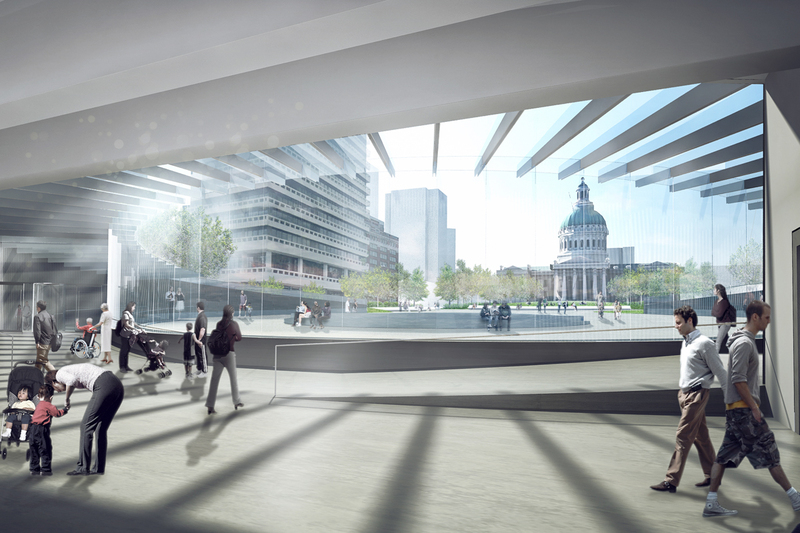 The team added 45,500 square feet to the museum’s west side, connecting a new entrance (pictured above) to the main programming in the 113,000-square-foot Saarinen-designed museum. 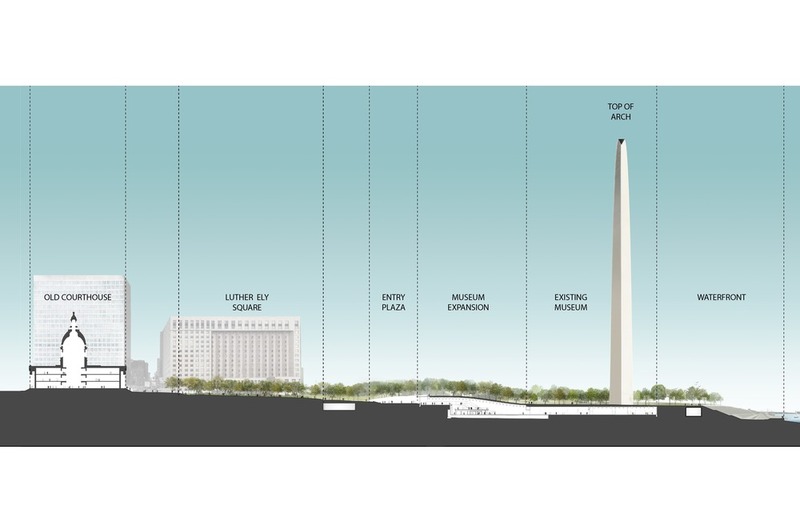 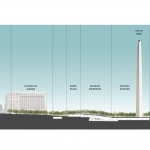 In deference to the site—which is both a national landmark and national park—much of the new construction sits underground. 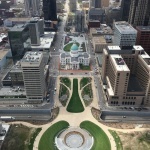 The architects collaborated with MVVA on 2010’s CityArchRiver, a competition to master-plan and tweak Kiley and Saarinen’s 91-acre landscape and structures for better public access and connectivity with downtown St. Louis. 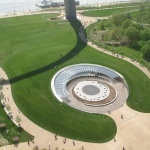 In conjunction with the renovation, the Museum of Westward Expansion is being rebranded as the Museum at the Gateway Arch, a switch that removes the jingoistic emphasis on the colonization of indigenous land, but preserves its ties to the site.